Ah, yes: washing your face. Often the last thing you want to do at the end of a long workday (and for me, the thing that doesn't ever get done before collapsing into bed after a big night out...). Annoying as it can be, the importance of cleansing in skincare cannot be stressed enough. Read on to learn more about why you need to wash your face, and which products I recommend for sensitive, acne-prone skin like mine. Cleansing keeps pores clear, thereby preventing skin problems. If you don't periodically wash the dirt and excess oil/sebum that accumulates on your face, your pores get clogged, which can lead to dull skin and acne. Makeup that's left to fester into your pores can exacerbate the damage. Cleansing also enhances the efficacy of skincare products. Your face needs to be a clean, blank canvas to maximize absorption of nutrients in serums, toners, and moisturizers – these product won't work if they're just sitting on top of gunk that's clogging your pores. That's where cleansing comes in: it's the first step in the lazy-girl skincare regimen and arguably the most important one. If you don't cleanse properly, the subsequent steps won't have as much benefit. Aestheticians and dermatologists alike recommend that you wash your face twice a day: once in the morning, and once before bed. Twice daily is enough to keep pores clear, but not so often that the washing strips healthy oils away from your skin. Before bed, do a double cleanse: first with an oil cleanser (loosens up dirt, oil, and makeup – remember the "like dissolves like" principle from high school chemistry? ), and follow up with a non-oil cleanser (washes away residue for a thorough clean). Read on for a breakdown of how I wash my face and my favorite cleansing miracle-workers. (#1 in image) Clinique's Take the Day Off Eye Makeup Remover Stick does wonders, gently removing even the most stubborn waterproof eye makeup. I love that I don't have to fuss with cotton swabs – all I need to do is rub the convenient stick directly onto my eyelids to loosen up the makeup and then get on with the rest of my cleansing routine. Pump a dime-sized amount of oil cleanser into your hands and massage the product into your dry face, focusing on the corners (sides of the nose, under the eyes) where dirt can build up throughout the day. Then splash lukewarm water onto your face. You'll notice that the oil cleanser starts to emulsify and turn a milky, opaque color, meaning that it's dissolving the oily buildup. After massaging for about a minute, rinse the oil cleanser emulsion off your face with lukewarm water, but don't pat dry yet: leave your face wet for the next step. (#2 in image) Tatcha Pure One-Step Camellia Cleansing Oil: Love that this cleanser is chock full of healthy botanicals like green tea and camellia oil. Melts away makeup and dirt like a charm. The packaging is also durable and travel-friendly (most oil cleanser containers tend to leak or explode in my suitcase). Only gripe about this product is the high price tag. (#3 in image) The Face Shop's Rice Water Bright Cleansing Light Oil: A friend of mine brought this oil cleanser back from Korea as a gift, and I've been addicted ever since. Makeup slides right off, it emulsifies gorgeously, and my skin feels soft and smooth afterwards. More reasonably priced than the Tatcha cleansing oil. (#4 in image) Cerave Hydrating Cleanser: This is the cleanser I reach for the most often, recommended by my dermatologist. It doesn't lather, but it cleanses well (all the residue slides off - so satisfying), and it's very gentle and fragrance-free. Thanks to its hyaluronic acid content, this cleanser helps skin retain moisture even after you've rinsed it off. (#5 in image) Cerave Foaming Cleanser: Here's the foaming equivalent to Cerave Hydrating Cleanser. The modest lather does leave my skin feeling a bit cleaner, and I love the addition of niacinamide (vitamin B3), which can help fade hyperpigmentation and soothe inflammation (often the side effect of acne). My dermatologist has even convinced me to start taking niacinamide orally for enhanced benefits to my skin. All in all, a solid alternative to Cerave Hydrating Cleanser. (#6 in image) Philosophy Purity Made Simple: A fragrance-free, lightly-foaming gem of a cleanser. Thanks to its twelve essential oil combo, it has a naturally herbal scent – you might detect hints of sandalwood, sage, and pepper. Despite the oil content, I've never had a breakout from this cleanser. Dissolves grime and makeup, leaving skin super-smooth and soft. (#7 in image) Shiseido Perfect Milk: I confess – I only discovered this product because a sales associate at Olive Young recommended it to my husband when we were in Seoul last year. But I tried it once, fell in love, and now we share the pretty blue bottle. You only need a tiny drop or two to build a rich lather that removes residue beautifully and leaves your skin feeling clean and refreshed. Only drawback is that it's not fragrance-free, but I love the fresh smell, and so far, it hasn't irritated my skin. 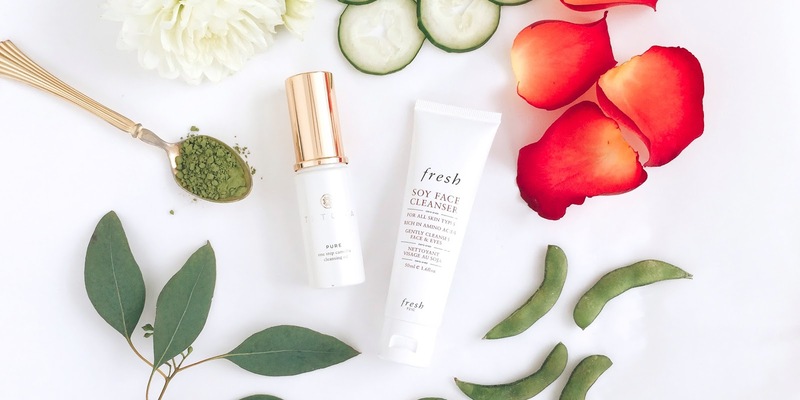 (#8 in image) Fresh Soy Face Cleanser: Cucumber extract and rosewater give this gentle gel cleanser a yummy scent (even though it's fragrance-free). It foams up just a little, melts away dirt and makeup, and leaves your skin ethereally smooth. 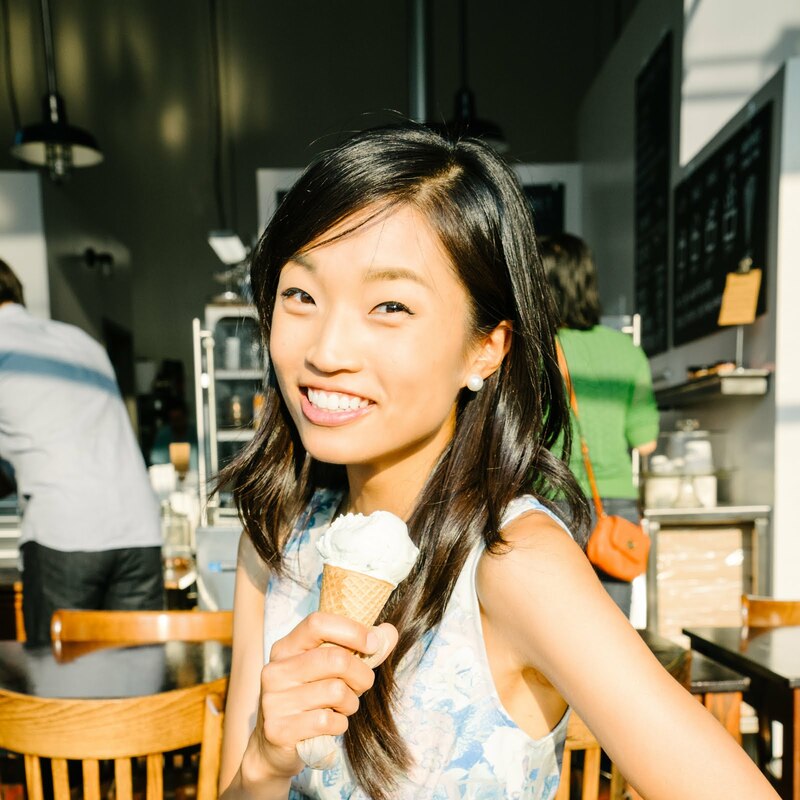 Washing your face properly is the bona-fide first step on your path to better skin, so I hope these tips make cleansing feel more like a moment of Zen and less like a chore! 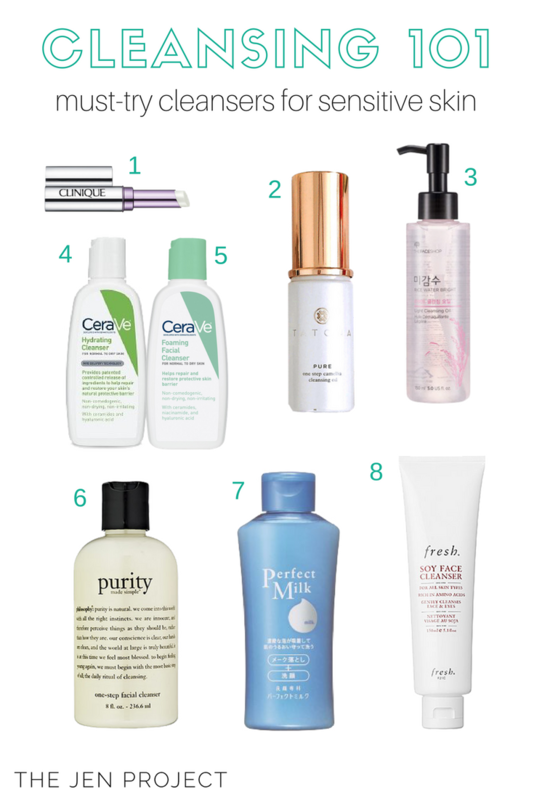 What are your favorite cleansing products?